I have a table where there might be two values in one cell, what is the best practice to display this? With a comma or line break or something else? Unfortunately the values are quite long, and I believe is it rather important to let the user see both values, i.e. there cant be any hiding. 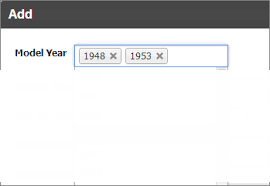 Maybe a traditional tabular layout is not right UI approach? You could consider variable height rows so that multiple values appear vertically in a cell, i.e. You can try something like this, the most common and familiar with user way. Having two values in one cell means that presumably you have to differentiate the two pieces of data. Differentiating them by being either side of a comma may not make them noticeable if the values themselves may be quite long, so you need an alternative approach. Unfortunately though, this often means having a primary and secondary item which may not be what you want. Some options may be more or less helpful if either one of the items may be present but not the other. Use some mechanism that doesn't just present the two items but helps to add value to the user by indicating their meaning, their equality, their relationship, or how it matters that there are two items in the cell. ...like I have probably done here. I do not want to argue with those who say "You should rethink your tables". I have lots of tables that have fields whose contents are ... lists! If you ever work with postGIS or any geographic database you will find many examples of list data stored in fields (polygons are stored as lists of coordinates). 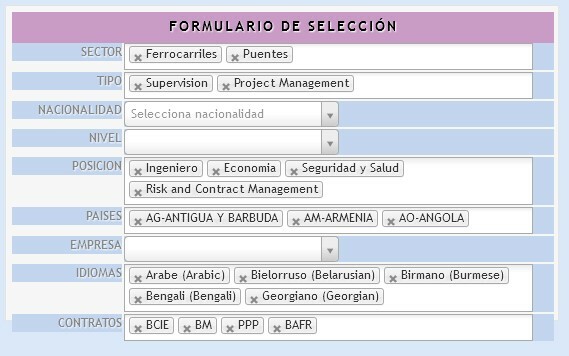 You can also have "lists of things" in selection forms. I even have "lists of lists" in some web applications. Yes, list management is a nuisance, but ... why not? There's no much difference with lists generated dynamically from tables and is great for static values or values that don't change often. This is an example of selection form with plenty of lists. This another example contains lists of lists. You may populate the "select" control with data from a table, and store the resulting CSV straight away. Fast and easy. Not the answer you're looking for? Browse other questions tagged tables or ask your own question. What is the best way to hint that a table cell is editable? 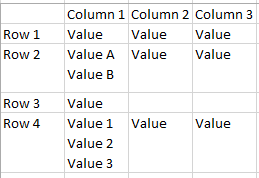 Best way to display more table columns and rows than I have room for? What is the most easily understood message for “View More” for a table cell? Is there an agreed best practice to represent tables in textual format? Where to place headings/dimension names in table/matrix? What to show in the input field when multiple items are selected?